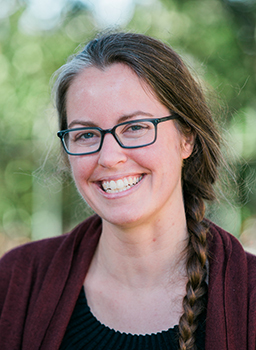 Dr. Anne Thebo joined the Pacific Institute in 2017 as a senior researcher. She conducts research on agricultural water management, water quality, and water reuse. Prior to joining the Pacific Institute, Anne worked as both a researcher and a water resources engineer. Her previous work spanned the topics of agricultural reuse of municipal wastewater in the U.S. and abroad, a variety of Water, Sanitation, and Hygiene (WASH) topics, Low Impact Development (LID) stormwater design and planning in the U.S., and the spatial analysis and modeling of these topics. Anne holds B.S. degrees in Environmental Science and Civil Engineering from Ohio State University, a M.S. in Civil and Environmental Engineering from Stanford University, and a Ph.D. in Civil and Environmental Engineering from the University of California, Berkeley, where her research focused on the water resources and health impacts of the indirect reuse of wastewater in irrigated agriculture.